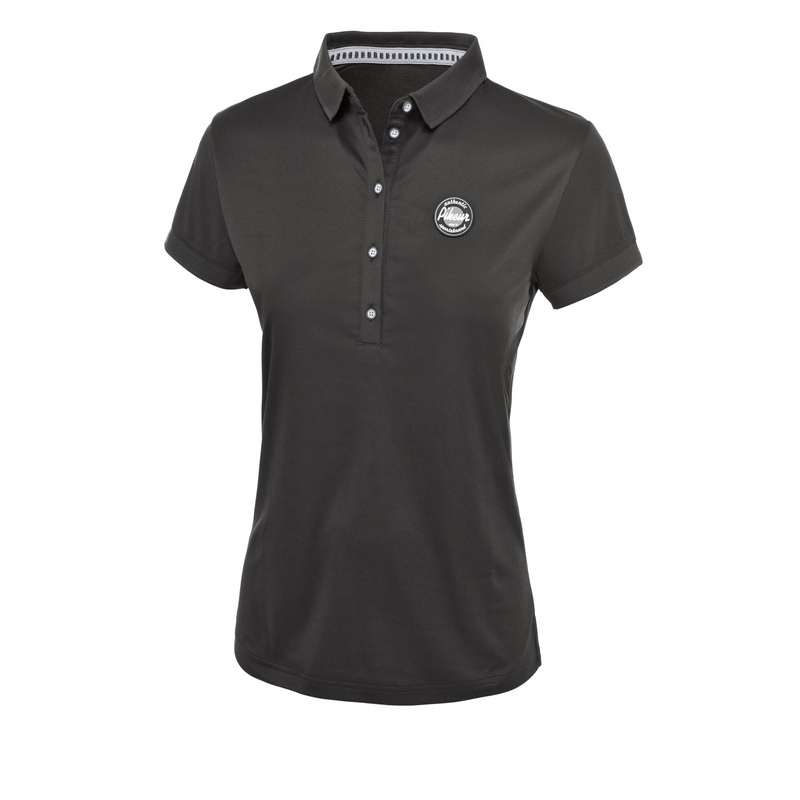 Ladies' polo shirt with short sleeve and a classic collar with buttons from the latest collection. 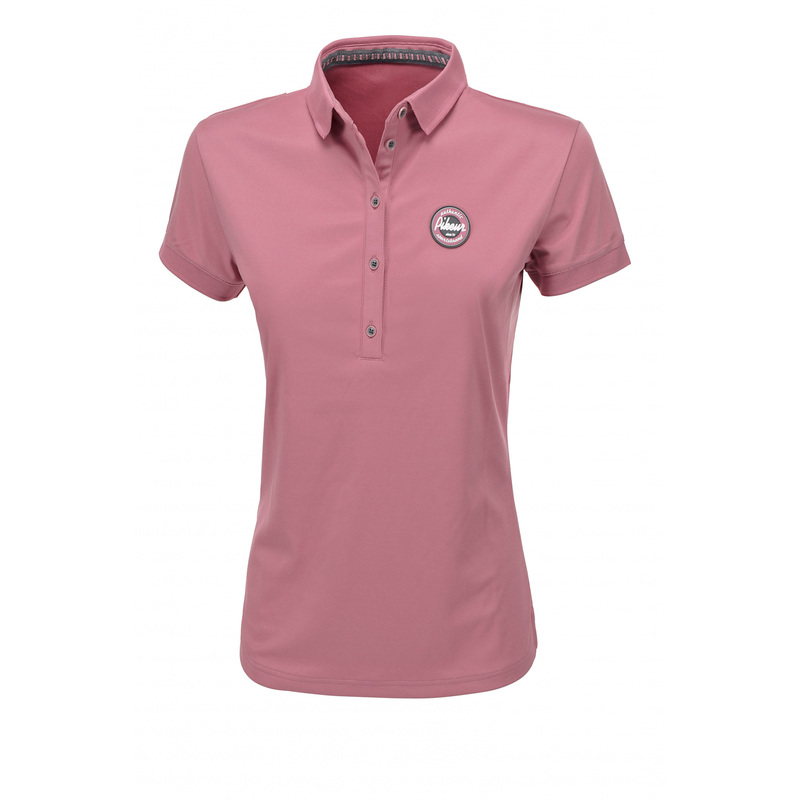 The shirt is made of the highest quality technical jersey that is breathable, comfortable and quick-dry. This shirt is decorated with a Pikeur emblem patch on the chest.